Some 40 million people depend on the Colorado River Basin for water but warmer weather from rising greenhouse gas levels and a growing population may signal water shortages ahead. In a new study in Nature Climate Change, climate modelers at Columbia University’s Lamont-Doherty Earth Observatory predict a 10 percent drop in the Colorado River’s flow in the next few decades, enough to disrupt longtime water-sharing agreements between farms and cities across the American Southwest, from Denver to Los Angeles to Tucson, and through California’s Imperial Valley. Click on the image to view lager. “It may not sound like a phenomenally large amount except the water and the river is already over-allocated,” said Richard Seager, a climate scientist at Columbia University’s Lamont-Doherty Earth Observatory and lead author of the new study. The study expands on findings published in 2007 in the journal Science that the American Southwest is becoming more arid as temperatures rise and rainfall patterns shift from human-caused climate change. 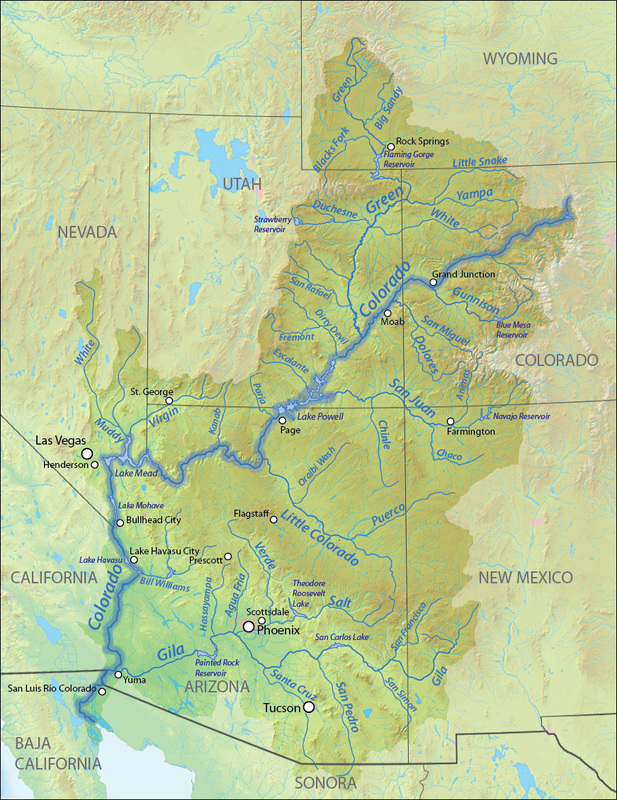 It also comes on the heels of a major study of the Colorado River Basin by the U.S. Department of Interior that projected longer and more severe droughts by 2060, and a 9 percent decline in the Colorado’s flows. The present study narrows in on three key regions for water managers—the Colorado River headwaters, the greater California-Nevada region and Texas, which gets nearly all of its water from within state borders. The study makes use of the latest models (those used by the Intergovernmental Panel on Climate Change in its Fifth Assessment Report due out next fall), to estimate seasonal changes in precipitation, evaporation, water runoff and soil moisture in the near future, 2021-2040. “It’s a much finer grain picture than the one we had in 2007,” said Seager. Drying is expected in all three regions, as warmer temperatures trigger more evaporation, even in places that may see greater seasonal rain or snowfall, the study found. The models project that temperatures in 2021-2040 will be 1 to 2 degrees Celsius warmer than now. The Colorado headwaters are expected to see more precipitation on average, but annual stream flow is expected to decline by 10 percent, and as much as 25 percent during springtime, as warmer temperatures boost evaporation, the study found. California and Nevada will also see big changes in spring, with a projected 20 percent drop in spring runoff; Texas will overall become drier with a 10 percent decline in annual runoff. For Texas the models predict that precipitation will decrease and evaporation rates will also go down in spring and summer, but only because “there is no moisture to evaporate,” said study co-author Mingfang Ting, a climate scientist at Lamont-Doherty.